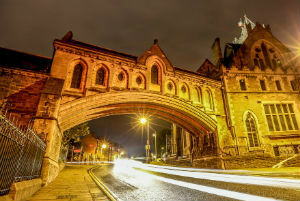 Ignite your love of books in this UNESCO City of Literature, discover the invaders and rebels who made Dublin their home, and dine out on exceptional food in what's locally known as the Fair City. Unearth thousands of years of history on a day that brings you from a truly beautiful university to the very place that gave Dublin its name. Set yourself up for the day with brunch at the Kilkenny Café, before heading across the road to the bastion of learning known as Trinity College, founded in 1592. 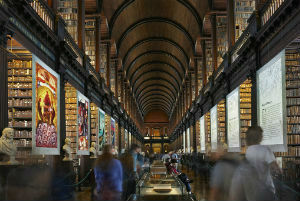 Stand in Front Square, and listen as the campanile rings out around the campus, then head to the Long Room Library, which houses over 200,000 of Trinity's oldest manuscripts, including the majestic Book of Kells – an illuminated gospel from the 9th century. Finish up with a visit the Science Gallery, with its rotating avant-garde exhibitions that explore more than just science! 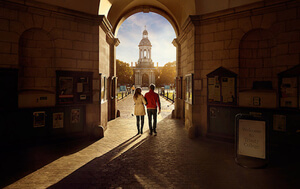 Get yourself a DoDublin travel and sightseeing card and enjoy discounts for some of the city's most popular visitor attractions as well as 72 hours of unlimited travel on the DoDublin hop-on hop-off bus, the city's public bus network and the Airlink airport connection. Go traditional with a lunch of beef and Guinness Stew at Keogh's Café, then walk back over 1,000 years to the site of Dublin Castle. 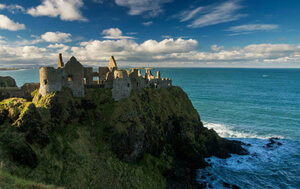 From Viking fortress, to the seat of British rule in Ireland, the castle is now a place of administrative and stately significance. 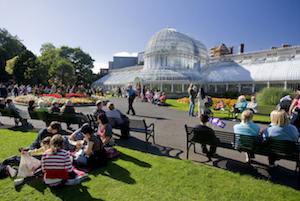 Tour the State Apartments, Medieval Undercroft and Chapel Royal before relaxing in the tranquil Dubh Linn Gardens, on the site of the “black pool” that gave Dublin its name. Overlooking the gardens, you’ll find the Chester Beatty Library – described by Lonely Planet as one of the best museums in Europe, it a treasure-trove of artefacts from Asia, the Middle East, North Africa and Europe. 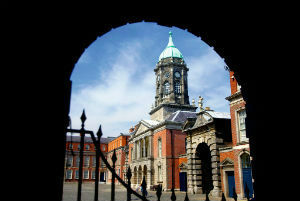 Dublin Castle is a highlight on most of the intertwining Dublin Discovery Trails, too, so take your pick and go your own way, visiting the Royal Hospital, City Hall and the GPO. Climbing up to the sky, the spires of St Patrick's and Christ Church cathedrals are mainstays on the urban horizon. For nearly 800 years, the two have presided here, with both containing intriguing oddities. The embalmed heart of St Laurence O'Toole (a 12th century Archbishop of Dublin) lies in a shrine in Christ Church Cathedral, while the hauntingly beautiful choir at St Patrick's will make the hairs on the back of your neck stand up. Put on your dancing shoes and head to The Brazen Head for live traditional music, great food and company – in what some say is the oldest pub in Dublin. 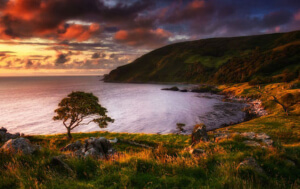 Discover the incredible reach of our diaspora, the destiny of some of our cruellest convicts and what could well be the best pint of Guinness in the world. 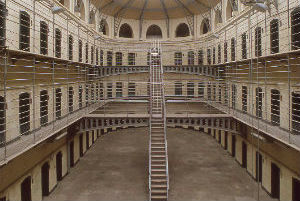 Visit Dublin's original "Gallows Hill", now the site of Kilmainham Gaol. Opened in 1796, Kilmainham quickly established itself as a forbidding place of punishment, especially for political prisoners and convicts destined for a journey to Australia. After a long and rather infamous history, the vast gaol was opened to visitors in the 1960s, and offers a panoramic insight into some of the most profound and disturbing times in Irish history. Afterwards, call into Union8 for a filling lunch to keep you going. 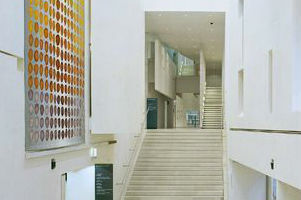 The Irish Museum of Modern Art (IMMA) is housed in the beautiful grounds of the Royal Hospital at Kilmainham, and features pieces by Elizabeth Peyton, Alexander Calder, and Terry Winters. 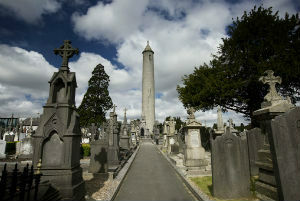 Hop on a bus to Glasnevin Cemetery. Opened in 1832, and now home to over 1.5 million burial sites, the cemetery is a goldmine for genealogists and history-buffs. Just outside the entrance, wind down your day at the Gravedigger's pub, a Victorian gem with oodles of charm. Officially known as John Kavanagh's, this Dublin institution is a good place to find one of the city's traditional dishes – coddle (usually a leftovers dish made up of pork sausages and bacon with sliced potatoes and onions). Delicious. Call in to the Botanic Gardens in Glasnevin to see its sprays of flowers, as they cover this beautiful Victorian glasshouse from floor to ceiling in colour. From its origins in 1759 as a fermentation house with a 9,000 year lease, the Guinness Storehouse has risen to become one of the city's most famous places to visit! Built in the style of the Chicago School of Architecture in 1904, today it hosts a gleaming exhibition on everything from retro advertising to the craft of brewing (and why Guinness's bubbles go down instead of up). The tour is topped off with a pint of the "black stuff" in the 360-degree Gravity Bar, where you can raise a toast to Arthur Guinness's wonderful creation. 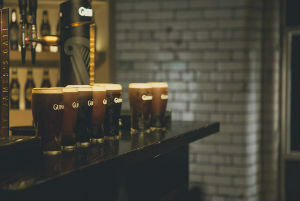 The Open Gate Brewery at the Guinness factory lets you sample new drinks from the brewery, so reserve your spot on Thursdays and Fridays between 5.30pm and 10.30pm, with entry via a blink-and-you’ll-miss-it door on James’s Street. See some of the greatest works of art in existence for free, people-watch where famous homegrown wordsmiths drew inspiration and enjoy the "real" story of Dublin city. 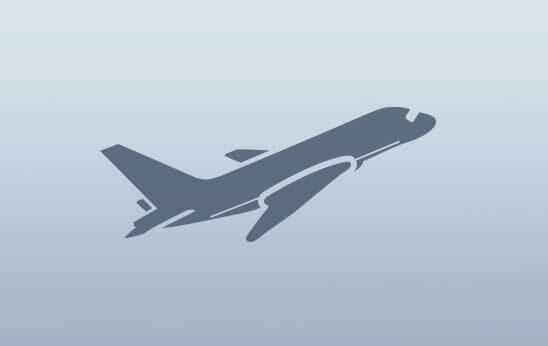 Your adventure continues. Housing works by Picasso, Monet and renowned Irish artist Jack B Yeats, the National Gallery of Ireland is free to enter and worth taking time to savour. With a sense of utmost serenity, the soaring ceilings and streams of light are artworks in themselves. Stop in the lovely Gallery Tea Room, enjoy a pot of tea and some scones, and relax in the presence of the greats. For innovative dining that showcases the very best of Ireland's culinary scene, the Pig's Ear on Nassau Street specialises in traditional Irish food, with a modern twist. Step through Fusilier's Arch, and into the leafy city park of St Stephen's Green. It may surprise you to know that until 1663, this idyllic spot was just a marshy common used for sheep and cattle – oh, and public executions and witch burnings. 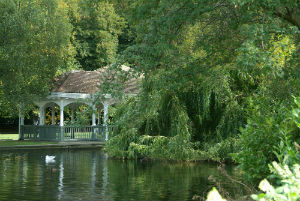 On sunny days, the park is best enjoyed with people-watching and a picnic. If the weather verges on the cooler side, bring some bread to feed the ducks then say hello to some local luminaries who have memorials around this area, including Oscar Wilde, James Joyce and WB Yeats. Visit Dublin's tiniest bar, the Dawson Lounge on Dawson Street. Discover a friendly snug with lots of charm, and friendly locals. Then, if you're hungry, take your pick from the eateries on Dawson Street. Described as Dublin's "best museum experience" by The Irish Times, the Little Museum of Dublin tells the story of this incredible city. Featuring exhibits on royal visits and rockstars, including local bous U2, the tales that the museum guides weave will capture your imagination. 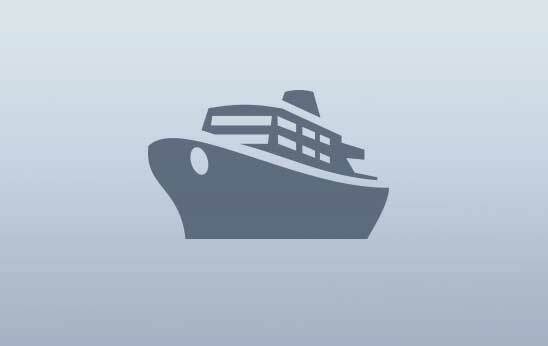 Through Ireland's boom, bust and boom, it will bring you in to the fabric of Dublin's Story. From here, it's a short walk to Fallon & Byrne's Wine Cellar on Exchequer Street, where incredible produce from all over Ireland finds a home. Top off your day at the Shelbourne Hotel's Horseshoe Bar. A renowned meeting point for politicians, journalists and local personalities alike, the bartenders at the Horseshoe Bar will guide you through one of their fabulous Irish whiskey tasting sessions. 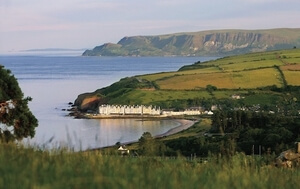 Belfast is the city that Titanic calls home, but it's not the only jewel in the crown – haunted jails, markets jam-packed with fresh produce, and Ireland's oldest plants are also amongst its treasures. 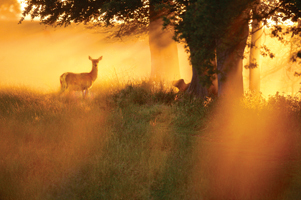 A monastery hidden amongst the trees, a safe haven for herds of wild deer, a spot once known for public executions – Ireland's parks are glittering emerald gems, and havens of absolute tranquillity. 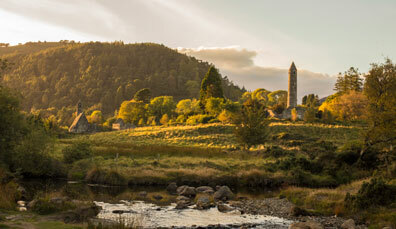 5,000 years of history linger beneath your feet in Ireland's Ancient East – murderous wives, fairy trees, and a goddess skipping across the sky feature in the fantastic stories of this historic region.